This is Wayback Wednesday, your midweek blast from the past! In this feature, we dig into the archives, look back at the history of basketball gaming, and indulge in some nostalgia. Check in every Wednesday for retrospectives and other features on older versions of NBA Live, NBA 2K, and old school basketball video games in general. You’ll also find old NLSC editorials re-published with added commentary, and other flashback content. This week, I’m taking a look back at College Slam. 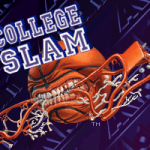 College Slam is a 1996 title that a lot of basketball gamers may not remember, if indeed they’ve ever heard of it. I personally wasn’t aware of it until years later, since as is the case with all college basketball video games, it wasn’t available in PAL regions. Essentially an NCAA version of NBA Jam, it was developed by Iguana Entertainment and published by Acclaim, the companies who brought NBA Jam to home consoles and PC. Unlike NBA Jam, it wasn’t released in arcades, and never achieved the same level of popularity, largely due to its more limited release. This is Wayback Wednesday, your midweek blast from the past! In this feature, we dig into the archives, look back at the history of basketball gaming, and indulge in some nostalgia. Check in every Wednesday for retrospectives and other features on older versions of NBA Live, NBA 2K, and old school basketball video games in general. You’ll also find old NLSC editorials re-published with added commentary, and other flashback content. This week, I’m taking a look back at Michael Jordan: Chaos in the Windy City, a 1994 game for the Super Nintendo. A few days ago, Michael Jordan celebrated his 55th birthday. As such, it seems only appropriate that this week’s Wayback Wednesday takes a look back at a game starring His Airness. Given that he is my favourite player, and obviously a very prominent name in basketball, I’ve focused on Michael Jordan in more than a couple of previous Wayback Wednesday features, covering a variety of MJ-related gaming topics from his PC exclusive three-on-three game, to his inclusion in NBA 2K11 along with the Jordan Challenge. 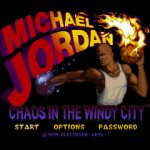 This time, I’m changing things up with a retrospective of a licensed platform game, namely Michael Jordan: Chaos in the Windy City. This is Wayback Wednesday, your midweek blast from the past! In this feature, we dig into the archives, look back at the history of basketball gaming, and indulge in some nostalgia. Check in every Wednesday for retrospectives and other features on older versions of NBA Live, NBA 2K, and old school basketball video games in general. You’ll also find old NLSC editorials re-published with added commentary, and other flashback content. 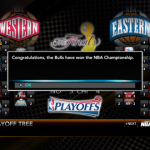 This week, I’m using NBA 2K10 to simulate through to the current season. It’s fair to say that the 2010 season marked a turning point for the NBA. Crossing into a new decade, it saw Kobe Bryant win the last of his five titles with the Los Angeles Lakers, as well as the final clash between the Lakers and Boston Celtics to date. It was also the season before a free agent frenzy that included LeBron James’ infamous “Decision”, and several other big names changing teams. Whether or not you like the current trend of superstars joining forces via free agency to form “super teams”, or some of the other changes over the past decade, it’s been an eventful era. As it happened, it was also a turning point for NBA video games. NBA Live 10 was the last NBA Live game before the ill-fated rebrand to NBA Elite, making 2010 the final season to see two sim-oriented releases until NBA Live returned for the 2014 campaign. I thought it’d be fun to go back to one of those games and simulate through to the present, just to see how the sim engine would predict everything would turn out. NBA 2K10 is a game I haven’t talked about all that much outside of one article, so it’s the one I’ve settled on for this exercise. Let’s take a look back…way back…and then bring it all back to the 2018 season. This is Wayback Wednesday, your midweek blast from the past! In this feature, we dig into the archives, look back at the history of basketball gaming, and indulge in some nostalgia. Check in every Wednesday for retrospectives and other features on older versions of NBA Live, NBA 2K, and old school basketball video games in general. You’ll also find old NLSC editorials re-published with added commentary, and other flashback content. This week, I’m taking a look back at NBA Jam; not the original, not the 2010 reboot, but the 2003 release for PlayStation 2 and Xbox. With NBA Jam celebrating its 25th Anniversary, there’s been even more nostalgia than usual surrounding the classic series of basketball video games. For long-time basketball gamers, and for those who know their gaming history, the lineage of the series is well known. NBA Jam and NBA Jam Tournament Edition are hailed as classics, and rightfully so. NBA Hangtime – Midway’s follow-up after Acclaim won the rights to the Jam name – is also a great game. Acclaim’s titles, from Extreme to the sim-oriented releases, were generally lacklustre. The series was revived by EA Sports, with the 2010 reboot and subsequent On Fire Edition being quite successful. This is Wayback Wednesday, your midweek blast from the past! In this feature, we dig into the archives, look back at the history of basketball gaming, and indulge in some nostalgia. Check in every Wednesday for retrospectives and other features on older versions of NBA Live, NBA 2K, and old school basketball video games in general. You’ll also find old NLSC editorials re-published with added commentary, and other flashback content. 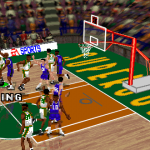 This week, I’m taking a look back at Microsoft’s NBA Full Court Press for PC. NBA Full Court Press is a game that I’ve wanted to talk about in detail for some time. I’ve mentioned it in passing in previous articles, but an in-depth retrospective is long overdue. Developed by Microsoft, the game is a forerunner to the NBA Inside Drive series, and was released in 1996 as a competitor to other sim-oriented titles such as EA Sports’ NBA Live 97, and Sony Interactive’s NBA ShootOut 97 (also known as Total NBA 97). 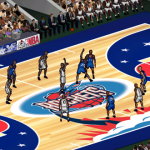 During that era, a handful of developers were throwing their hat into the ring with NBA games, and most games had their own hook or feature that made them worth checking out. This is Wayback Wednesday, your midweek blast from the past! In this feature, we dig into the archives, look back at the history of basketball gaming, and indulge in some nostalgia. Check in every Wednesday for retrospectives and other features on older versions of NBA Live, NBA 2K, and old school basketball video games in general. You’ll also find old NLSC editorials re-published with added commentary, and other flashback content. 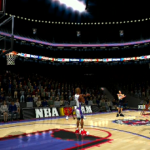 This week, I’m aiming to replicate Kobe Bryant’s 81 point game in NBA Live 06. Monday marked the twelfth anniversary of Kobe Bryant’s career high 81 point game against the Toronto Raptors. The Los Angeles Lakers legend’s torching of Toronto put him in second place behind Wilt Chamberlain for the most points scored in a single NBA game. It was a spectacular feat, and I remember my jaw actually dropping when I checked the scores that day. Between Shaquille O’Neal’s departure and the arrival of Pau Gasol, the Lakers languished in relative mediocrity in terms of the standings, but Kobe was putting up some numbers for the ages. This is Wayback Wednesday, your midweek blast from the past! In this feature, we dig into the archives, look back at the history of basketball gaming, and indulge in some nostalgia. Check in every Wednesday for retrospectives and other features on older versions of NBA Live, NBA 2K, and old school basketball video games in general. You’ll also find old NLSC editorials re-published with added commentary, and other flashback content. 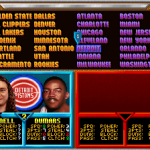 This week, I’m taking a look back at a few of my favourite secret characters in classic NBA Jam games. January 14th marked the 25th Anniversary of NBA Jam, the game that truly set the tone in terms of the arcade basketball experience. In addition to celebrating its silver anniversary, NBA Jam has also been in the news as of late due to the possibility of a brand new game being released. Additionally, in a recent interview with Shack News, Tim Kitzrow confirmed that creator Mark Turmell still has the rare version of the game that includes Michael Jordan and Gary Payton. While there are several legal roadblocks that must be cleared, Turmell is investigating the possibility of releasing that rare treasure in celebration of the game’s anniversary. This is Wayback Wednesday, your midweek blast from the past! In this feature, we dig into the archives, look back at the history of basketball gaming, and indulge in some nostalgia. Check in every Wednesday for retrospectives and other features on older versions of NBA Live, NBA 2K, and old school basketball video games in general. You’ll also find old NLSC editorials re-published with added commentary, and other flashback content. 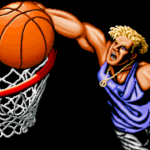 This week, I’m taking a look back at Street Hoop for the Neo Geo, recently re-released on PlayStation 4, Xbox One, and Nintendo Switch. Growing up in Australia in the 90s, I have to admit that I was completely ignorant of the Neo Geo. The Super Nintendo and SEGA Mega Drive (known as the Genesis in NTSC regions) were the popular consoles, and as it stood, I was a Nintendo fanboy. As such, it wasn’t until years later than I learned about some of the other consoles that were also vying for a share of the market back then, or the library of games that were exclusive to those platforms. Those games included several basketball titles, such as the one we’re looking at today: Street Hoop. This is Wayback Wednesday, your midweek blast from the past! In this feature, we dig into the archives, look back at the history of basketball gaming, and indulge in some nostalgia. Check in every Wednesday for retrospectives and other features on older versions of NBA Live, NBA 2K, and old school basketball video games in general. You’ll also find old NLSC editorials re-published with added commentary, and other flashback content. This week, I’m taking a look back at the EA Graphics Editor. Although our modding community continues to produce excellent content for the most recent NBA 2K games, the process has become a little more difficult from NBA 2K15 onwards. While the decision to port the PlayStation 4/Xbox One version to the PC has allowed the platform to receive the best version of the current release, it has put a few limitations on what can be achieved through modding. At the very least, it’s made the process a little tougher. This has led to people in the community expressing their frustration with the current state of modding. This is Wayback Wednesday, your midweek blast from the past! In this feature, we dig into the archives, look back at the history of basketball gaming, and indulge in some nostalgia. Check in every Wednesday for retrospectives and other features on older versions of NBA Live, NBA 2K, and old school basketball video games in general. You’ll also find old NLSC editorials re-published with added commentary, and other flashback content. 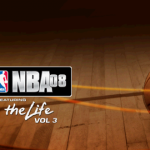 This week, I’m taking a look back at The Life in NBA 08. Sony’s NBA series was one of the last major competitors to the two big brands in sim-oriented basketball games, NBA Live and NBA 2K. The games are part of a lineage that includes the NBA ShootOut series, known as Total NBA in PAL regions. Being developed by divisions of Sony Computer Entertainment, the games were naturally exclusive to the PlayStation consoles, with the exception of NBA ShootOut 2000 which saw the series’ lone PC release. Generally speaking, the games did receive some positive reviews, but over the years they were unable to best NBA Live or NBA 2K in terms of sales or overall quality. This is Wayback Wednesday, your midweek blast from the past! In this feature, we dig into the archives, look back at the history of basketball gaming, and indulge in some nostalgia. Check in every Wednesday for retrospectives and other features on older versions of NBA Live, NBA 2K, and old school basketball video games in general. You’ll also find old NLSC editorials re-published with added commentary, and other flashback content. This week, it’s a video retrospective of Kobe Bryant in NBA Courtside for the Nintendo 64. 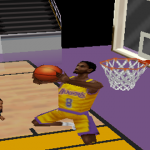 When Kobe Bryant played his final NBA game, I dedicated a Wayback Wednesday feature to his history in basketball video games. With his jersey retirement ceremony taking place this week, it seems only fitting that I look at one of those titles in more detail. Released for the Nintendo 64 in 1998, Kobe Bryant in NBA Courtside was the first of three Nintendo-exclusive games endorsed by the Black Mamba, and one of two titles that featured the rising star on the cover that season. I’ve mentioned it in several articles to date, so an in-depth retrospective is somewhat overdue. I hope you enjoy the retrospective! As 2017 draws to a close, I probably won’t be releasing any new videos over the next couple of weeks, but I’m looking forward to creating them more often in 2018, along with my regular written features. To that end, be sure to subscribe to the NLSC on YouTube, and keep it locked to the NLSC every Wednesday for more retro basketball gaming content. This is Wayback Wednesday, your midweek blast from the past! In this feature, we dig into the archives, look back at the history of basketball gaming, and indulge in some nostalgia. Check in every Wednesday for retrospectives and other features on older versions of NBA Live, NBA 2K, and old school basketball video games in general. You’ll also find old NLSC editorials re-published with added commentary, and other flashback content. This week, I’m taking a look back at my old columns, the Midweek Patch Report and Webmaster News. If you’ve been around the community for a long time or perhaps read some of my previous articles, you may know that I used to run a site called the NBA Live Domain before I took over the NLSC in August of 2001. It started out as a place for me to host my own patches for NBA Live, but after a while, I felt like branching out with feature articles and the like. I experimented with the odd opinion piece and even created a subsite dedicated to covering the real NBA, but the columns that stuck were the Midweek Patch Report, and Webmaster News. This is Wayback Wednesday, your midweek blast from the past! In this feature, we dig into the archives, look back at the history of basketball gaming, and indulge in some nostalgia. Check in every Wednesday for retrospectives and other features on older versions of NBA Live, NBA 2K, and old school basketball video games in general. You’ll also find old NLSC editorials re-published with added commentary, and other flashback content. 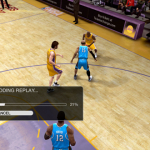 This week, I’m taking a look back at the replay editing and uploading functionality in NBA Live 09. Instant replay is nothing new in sports video games. Bulls vs Lakers, the sequel to Lakers vs Celtics, introduced the feature to EA’s original basketball series. Since then it’s become a staple of the genre, one that we’ve used to re-watch our finest (or most frustrating) moments on the virtual hardwood. Although subsequent games have introduced welcome features such as multiple camera angles, the ability to manually trigger cinematic replays, and even video exporting functionality, not many games have had extensive replay editing tools. EA’s Michael Jordan in Flight was an early title that did, but since then, it’s generally been a rarity. This is Wayback Wednesday, your midweek blast from the past! In this feature, we dig into the archives, look back at the history of basketball gaming, and indulge in some nostalgia. Check in every Wednesday for retrospectives and other features on older versions of NBA Live, NBA 2K, and old school basketball video games in general. You’ll also find old NLSC editorials re-published with added commentary, and other flashback content. This week, I’m presenting a video retrospective of Lakers vs Celtics and the NBA Playoffs. Check out the retrospective over on our YouTube channel if you can’t see it embedded here. Speaking of retrospectives and looking back at the history of the NBA Live series, I’m hoping to finally finish up our extended 20th Anniversary of NBA Live content by the end of 2017. 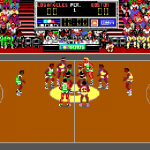 Wayback Wednesday will of course remain a regular feature here at the NLSC, so check in each and every week for more retro basketball gaming content. In the meantime, do you have any memories of Lakers vs Celtics that you’d like to share? Add them in the comments section below, and as always, feel free to take the discussion to the NLSC Forum! This is Wayback Wednesday, your midweek blast from the past! In this feature, we dig into the archives, look back at the history of basketball gaming, and indulge in some nostalgia. Check in every Wednesday for retrospectives and other features on older versions of NBA Live, NBA 2K, and old school basketball video games in general. You’ll also find old NLSC editorials re-published with added commentary, and other flashback content. 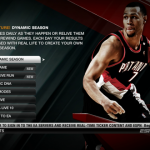 This week, I’m taking a look back at Dynamic Season in NBA Live 10. While I still consider the PC version of NBA Live 06 to be the last truly well-rounded instalment in the NBA Live series, NBA Live 10 has to be given its due. It holds up quite well, and EA Sports definitely should’ve continued to build on it rather than changing directions with NBA Elite 11. Had EA not elected to take that risk, the series might be in much better shape, and the landscape of basketball gaming would likely have been very different these past seven years. In addition to its mechanics and overall gameplay being very solid, NBA Live 10 also featured some innovative modes and concepts, including the one we’re looking at today: Dynamic Season.